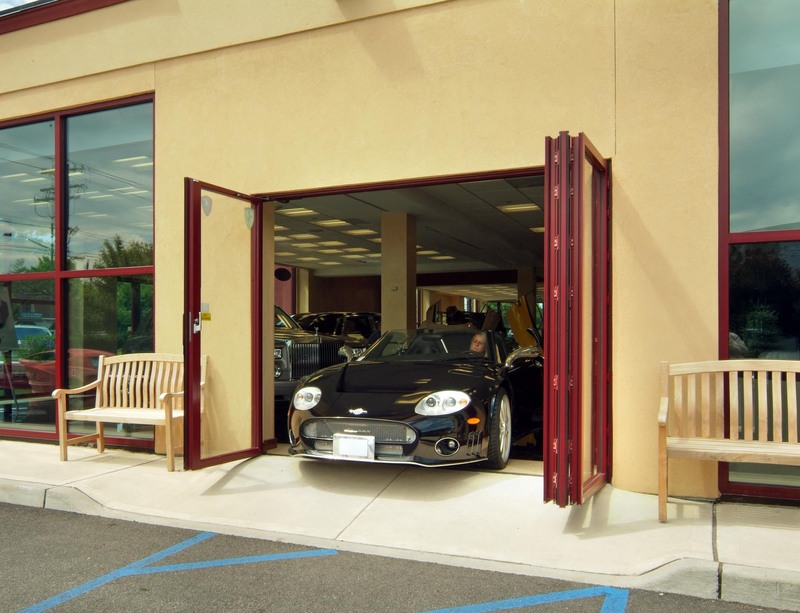 For a new and unusal building combining a luxury auto showroom and high-end restaurant in New York’s toney Hamptons beach towns, the owner of the car dealership required a secure yet attractive solution for opening up its ground-floor walls. Working with the architect Shawn F. Leonard Architect of Southampton, the father-son dealer team of Arthur and Brian Miller began to give form to the unique dining and auto-viewing environment. 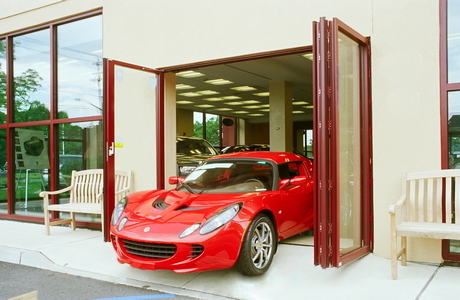 “The project’s main focus was to design a dealership for high-end cars – Rolls-Royce, Porsche, Lamborghini and the like – but the concept evolved to include a restaurant on the second floor with a viewing platform open to the showroom below,” says Leonard, adding that the owner saw a similar concept in Arizona. This one, however, was unmistakably original. 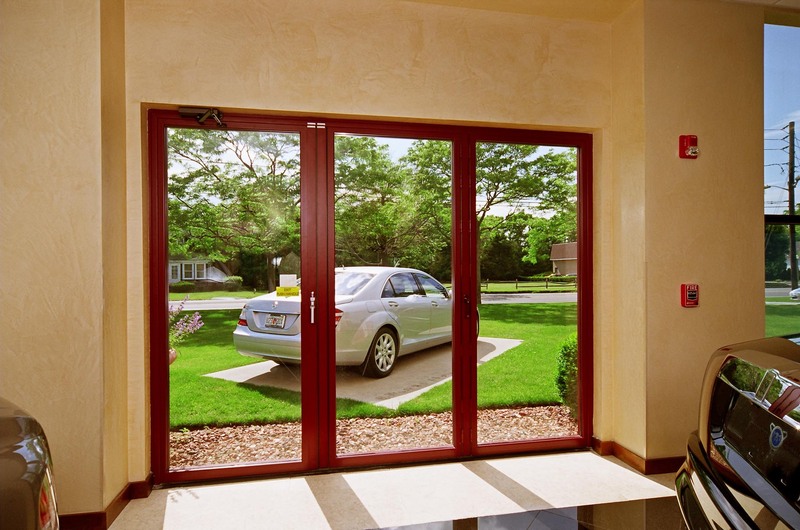 Leonard’s design borrows automotive symbols and patterns, such as the wheel shapes and bodies of exotic sports cars and luxury sedans. “The round rotunda suggests a sports car tire laid on its side, while a nearby wall riffs on the Rolls-Royce logo on the car’s memorable front grille,” says Leonard. 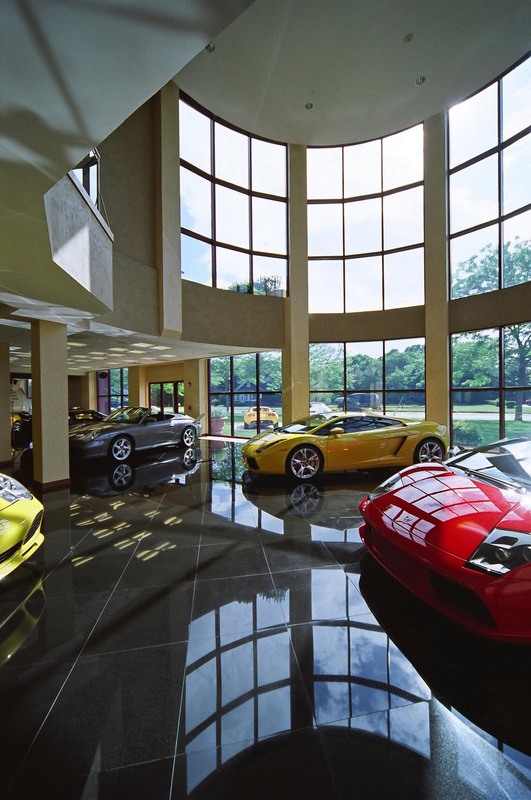 The new building also needed large glass openings to show off the automobiles in stock – and they had to be operable to let them in and out. 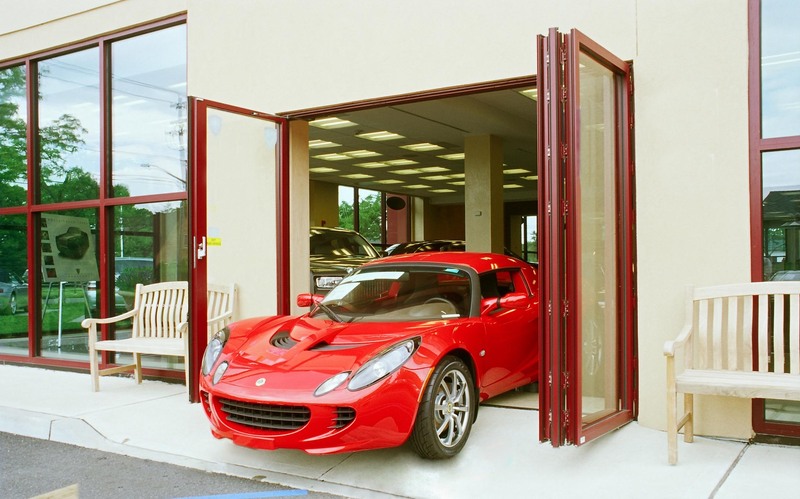 “The showroom also has a car elevator, which brings cars to the basement,” Leonard notes. 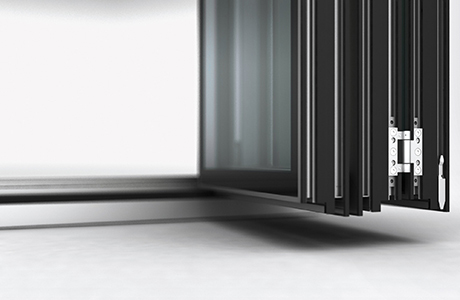 According to Ebrahim Nana, president of NanaWall Systems, the SL72 folding-glass-wall system is already Miami-Dade-rated to withstand hurricane-force wind, rain, and flying debris. “The NanaWalls are fantastic,” Rubio said. 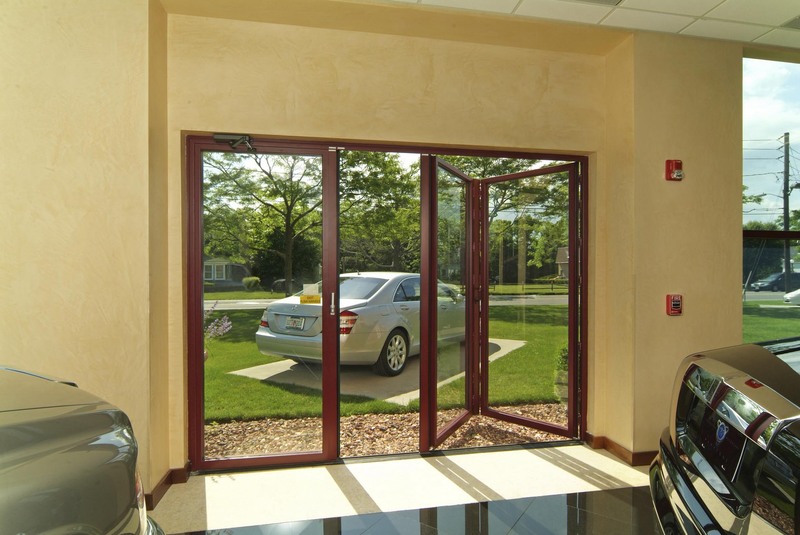 For the architect Leonard, the quality of NanaWall also stood up to the high-end finishes and fixtures used throughout the auto showroom and restaurant. From Venetian plasters and Black Absolute granite floors, the facility had to project a distinctive, upmarket feel.